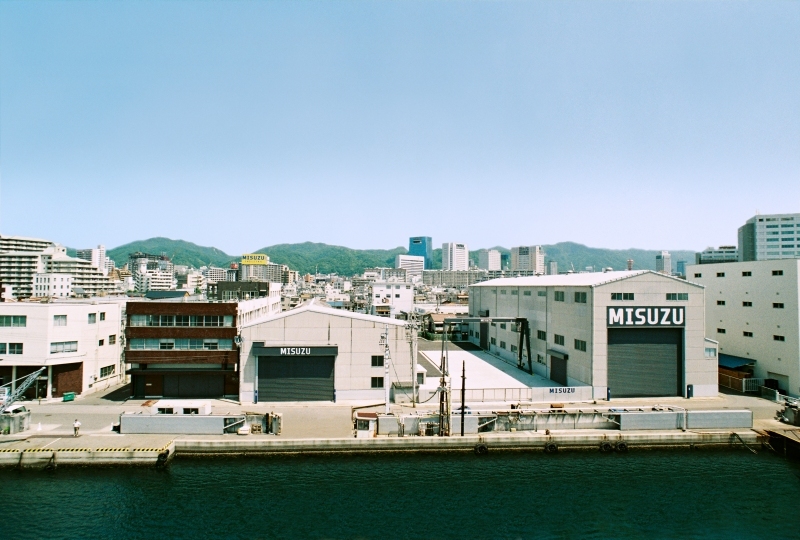 Company Name: MISUZU INDUSTRY CO., LTD.
Affiliates: Misuzu Machinery Co., Ltd.　Misuzu Estate Co., Ltd.
Main Products: API-conforming Oiling system and Dry gas sealing system; Inert gas system for oil carrier explosion protection; Various pumps. 1958 December: Construction of the head office and factory buildings in the Ikuta-ward (present Chuo-ward) of Kobe. 1966 May: Construction of a new factory (present factory) at Noguchi-cho in Kakogawa. 1971 August: Construction of the fifth factory for Inert gas systems for oil carrier explosion protection. 1972 November: Construction of the sixth factory as an assembly factory for large-scale equipment. 1979 October: Production of Oil discharge monitoring system for oil carriers is started. 1982 August: Production of API-conforming Oiling systems is started. 1989 September: Production of dry gas sealing systems is started. 1991 March: Production of High oil pressure jacking-up systems is started. 1993 August: Production of Auxiliary combination packages which incorporate various auxiliary modules for gas turbines including those for supply of lubricant, control oil and fuel oil and water injection is started. 1994 August: Production of Membrane air dryers is started. 1996 September: Construction of the seventh factory as an assembly factory for Dock shelters. 1998 February: Completion of Oiling system No. 2000. 1999 March: A large-scale Oiling system is shipped to Saudi Arabia. 2001 August: A high-pressure control oil supply system for steam turbines is shipped. 2004 October: Oiling systems and Dry gas sealing systems are shipped to Sakhalin. IHI Corporation; Imabari Shipbuilding Co., Ltd.; Elliott Ebara Turbo Machinery Corporation; Ebara Corporation; Kawasaki Heavy Industries, Ltd.; Toshiba Corporation; Hitachi, Ltd.; Misuzu Machinery Co., Ltd.; Mitsubishi Heavy Industries, Ltd.